Young enough at 47 Ralph Regenvanu has a passion for his task signified by the name he chose for the new political party he formed – Land and Justice. He wants lasting change to enshrine the cherishment of land as the traditional source of wealth and identity, as spelt out in the constitution proclaimed at independence in 1980. Ten years in parliament, he has already taken a lead, to end abuses in the land law, and is pushing hard to block alienation of land to foreign interests and vest it securely in the hands of traditional owners. The objective then is justice for this sun-drenched island republic out in the Pacific Ocean, 550-kilometres from its neighbour New Caledonia, some 2000 kilometres from Australia or New Zealand. As Foreign Minister, asked about his prime goals and the primary relationships he wanted to build, he goes first to development of the country, and reels off any who might be partners in that: Australia, New Zealand, Japan, China, the European Union, France. He stands in a long line of political leaders maintaining a vision in newly independent countries since the era of Jawahlal Nehru or Sukarno, with other giants of the decolonisation that followed World war II. In manner he has the brief and relaxed style of Barack Obama, in inspiration and purpose, Nelson Mandela may have liked him. In background Ralph Regenvanu is an anthropologist, initially trained in Australia, later in France, and graduating in Law at the University of the South Pacific. 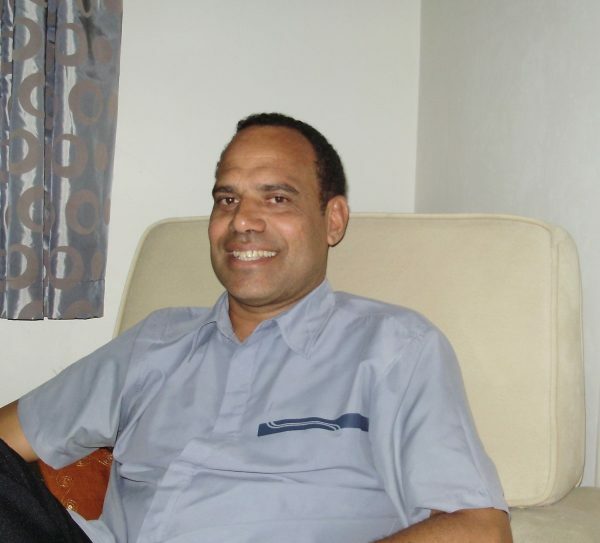 From Malekula Island he is the son of Sethy Regenvanu, a Deputy Prime Minister is the country’s early years, and Dorothy Regenvanu a Presbyterian Pastor originally from Australia. His story in politics began eleven years after his appointment as Director of the Vanuatu Cultural Centre, a library and museum complex in the capital city, Port Vila. As he tells it, together with friends and supporters he had been active trying to promote cultural heritage policy and get that installed as a basic operating principle of government. If that was the heart of the nation it was not being appreciated as a proposal from outside the halls of power, and so, a party was formed, emerging after two elections as the largest in parliament. It came back to the land law, which meant well by providing for a leasehold system not freehold, but did not have detailed regulations and protections in place, and had opened the way to corrupt practices. “We could not achieve what we wanted and believed nothing would be done on national land reform, where in customary cases a lease could be granted on the whim of a minister – and despite the constitution. “Land is the basis for the whole society, particularly within culture, and the reason rights were abolished was corruption – particularly around the office of the Lands Minister. “So we had to deal with that as well. “People expressed what they wanted to see, but were not receiving entitlements, and it was not in the public interest. “So I had the ambition to clear away that institution and now there is land reform under the National Sustainable Development Plan from 2017 – called the 2030 Plan, a 15 year program. “It is all based on culture, for the economy, society, environment, based on cultural values, not just custom but Christian or different values, however people see themselves. “We have also had our entire national schools curriculum revamped. Before that we used a curriculum that was a hangover from colonial times. Children now can read and write in their own language and then learn English or French. It is a big national process. “I think we are reflecting the national mood. That was how we got into parliament. Protecting culture where it had been going too much towards Western ways. Not all plain-sailing. Minister Regenvatu has found the hard business of getting changes implemented an exhausting trial, at times thinking of giving it away and moving into the zone of consultancies or other work not so close to the centre. “There are very big challenges. Question: Does it affect your own sense of vocation in life? “I want to effect change, for the people, positive change, but unfortunately it carries all this other baggage – but I am thinking one more term. I am shortening my life here. “Things are happening that are so wrong. Generally policy is going in the right direction but it is frustrating. Many people in the system, politicians or bureaucrats, don’t have a public interest and they don’t have accountability, and things don’t get done. People are not interested in doing their job, and the system does not hold them accountable. So that working on reform, it’s almost immovable. It’s bureaucracy in government. A lot of my work is micro management I should not have to do. Just to see that things are done, getting response to decisions, even cabinet decisions, or just client responses, if people make a representation and then there is no response. It is the main challenge to reform, I would agree with that. As for the gains already made, the land leasing law is no longer permitting transactions, which Mr Regenvanu considers a good first step, until regulations can be put in place to guarantee best practice. “We have effectively stopped the laissez-faire leasing of land. Now you cannot get a lease without the prior, free and informed consent of its custom owners, the ‘PFIC’ outlined in the United Nations standard on land rights. “Stopping the leasing of land in this way is an unintended consequence. The constitution from independence provided for leasing of land in Vanuatu, not outright ownership, in recognition of traditional rights. It is a protection. “It is an outcome I can live with. Leasing of itself is not inherently bad. We have stopped leases while we set up a system of boundaries, laws and property definitions. Question: Do you have problems with corruption? “At independence we enshrined a constitutional principle, as before, which relied on the discretion of a Minister – now changed. Thanks to the court case when members of the government went to prison in 2016, we have made gains. Those guys were the real wheelers and dealers and money people. “As for corruption we are better than all others, most definitely better than Papua New Guinea now. The drive to install checks and balances as with the all-important question of Vanuatu land is a case of getting back to how the republic was originally set up – with inertia or resistance to overcome. “It is people not doing as they are supposed to do and not being called to account. We need checks and balances such as having an ombudsman or parliamentary committees, which do not operate in our system. The government of Vanuatu has long been a supporter of independence for the French territory of New Caledonia, now going to a referendum on separating from France, or not, on 4 November. The independentist movement, the FLNKS, representing mostly the native Melanesian, or Kanak population, has been having a hard battle getting up a vote for “yes”, opinion polls not going their way. Much of its program hangs on its being a cultural movement and on solidarity among the Melanesian countries including Vanuatu. Has the government of Vanuatu been able to help? “The independence movement in West Papua has come together more as one group. In the past we effectively reinvented the West Papua movement. There had been a number of groups and they came into one group, and that is the main one now. “You know the famous visit to New Caledonia by Emmanuel Macron, the French President in May. Our Prime Minister went there this year. We were very disappointed that the FLNKS did not use the opportunity of the visit by Macron, to obtain an interview. They did not seek separate sessions with the Pacific leaders who were there, to obtain their support. A build-up of China’s involvement in Vanuatu has been generating concern in Australia and other longer-term investors. That took in reports of China wanting a military base there – denied. Many in the country have reservations, though the Chinese engagement is not being seen as such a great problem by the government, in its urgent search for development aid and investment. Question: That might be one with a sense of entitlement. But China? “There was the military base story that blew up, a media story… It has been good for us. The blow-up has made Australia much more interested. They have committed to build the police college for us. They have committed to picking up the national security standard. They have talked about being much more interested in improving work strategies. They have been talking about providing infrastructure. So, great. “In terms of private sector commercial projects, the Chinese are now getting to the level of what Australia’s has been. “When things come up for sale the Chinese will have more money than the French or anyone else and that is a feature of their domestic economy at this time. Question: There is plenty of pressure from China on governments, and in Vanuatu reports about demands that you deport people they are against. QUESTION The style of intervention… If they see something they don’t like with organisations like Falun Gong, or ethnic communities, or the Dalai Lama, they will demand action on it. They might come to your government and say our support is conditional… Do you get pressure from the Chinese? Climate change, as an overbearing threat, loudly raised by Pacific islands leaders in international forums – including the 2016 world climate change conference in Paris. Question: Dealing with major crisis. The earthquake and volcano on the island of Ambae has seen huge destruction and mass evacuation of people. This would have huge impacts also on budgets. “The future of Vanuatu is good. We are pretty unique in the Pacific in terms of the national character. Even though we have no extensive resources we are not an economic basket case like countries that do. We are lucky to have a good financial administration that was set up as part of the Comprehensive Reform Program in 1997. It’s been the best government financial management system in the Pacific. There is virtually nothing else in that program that was good, as I can see, but that was the stand-out in terms of getting in the black. “The loans are getting up now as a percentage of GDP, but not anywhere near the other countries in terms of the Pacific. The maximum set by the International Monetary Fund is 40% and I think we are approaching 30%. We’ve been in the low 20s for a long time. It’s just in the last legislature that we’ve committed ourselves to some large infrastructure loans, and they’re all infrastructure loans, not for anything else. That’s something you can’t get, grants for infrastructure. My job is to get more infrastructure grants. One of the reasons we vote at the UN is we get infrastructure grants, which is why we tend to support Japan on everything, as Japan does give us that. China does also. We are going into diplomatic relations to get more of that, as well as education, a priority for scholarships, and now agriculture as well, technology especially.